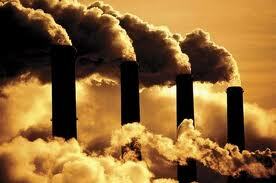 Coal-Fired Electricity Heavily Subsidized by Albertans and It’s Killing Us | R.E.T.A. Absurdly low royalty rates on coal in Alberta make it difficult for renewables to compete, and contribute every year to Albertans’ deaths and illness. That’s what Dr. Joe Vipond and Dr. Raquel Feroe wrote in this article in today’s Edmonton Journal. We’ve known since last year’s A Costly Diagnosis was released by the Asthma Society of Canada, Lung Association of Alberta & NWT, Canadian Association of Physicians for the Environment and the Pembina Institute, that Alberta burns more coal to produce electricity than all the other provinces put together. That report also indicated burning coal costs Alberta more than $300 million annually in health damages, contributes to the death of more than 100 Albertans annually, and causes 700 visits to emergency departments and more than 4,000 asthma attacks in the province each year. What most Albertans are likely not aware of, however, is that the Government of Alberta levies one of the lowest royalty rates on coal in the world. Alberta’s coal royalty rate is only 55 cents/tonne. Saskatchewan and Montana have floating rates of 15%, which would translate into about $3/tonne. So Alberta charges industry one-fifth to one-sixth of what comparable neighbouring jurisdictions do. No wonder alternative sources of electricity generation, including renewables and even natural gas (depending on its price) have a tough time competing in Alberta. This should make every Albertan angry considering that, since the Natural Resources Transfer Agreement of 1930, Albertans own all of the natural resources in our province, including mines and minerals (e.g., coal, oil and gas). The Alberta Government is supposed to manage these resources on our behalf and for the benefit of all Albertans. Well, it appears the primary beneficiary of coal extraction in our province is the coal mining and coal-fired electricity generation industry. One could say the Government of Alberta is almost giving coal away to the coal-fired electricity industry. Considering coal is a non-renewable resource, this means our provincial government is not doing a very good job of managing the financial return to Albertans….remember, from a constitutional perspective, you and I – as Albertans – own the coal. Until the Alberta Government starts levying a fair royalty rate on coal, Albertans will continue to lose millions of dollars every year and our health will continue to be negatively affected by burning coal to produce electricity. ~ by RETA on April 21, 2014.